Every year since 1976, Project Censored, our nation’s oldest news-monitoring group—a university-wide project at Sonoma State University founded by Carl Jensen, directed for many years by Peter Phillips, and now under the leadership of Mickey Huff—has produced a Top-25 list of underreported news stories and a book, Censored, dedicated to the stories that ought to be top features on the nightly news, but that are missing because of media bias and self-censorship. Seven Stories Press has been publishing this yearbook since 1994, featuring the top stories listed democratically in order of importance according to students, faculty, and a national panel of judges. Each of the top stories is presented at length, alongside updates from the investigative reporters who broke the stories. Beyond the Top-25 stories, additional chapters delve further into timely media topics: The Censored News and Media Analysis section provides annual updates on Junk Food News and News Abuse, Censored Déjà Vu, signs of hope in the alternative and news media, and the state of media bias and alternative coverage around the world. In the Truth Emergency section, scholars and journalists take a critical look at the US/NATO military-industrial-media empire. And in the Project Censored International section, the meaning of media democracy worldwide is explored in close association with Project Censored affiliates in universities and at media organizations all over the world. A perennial favorite of booksellers, teachers, and readers everywhere, Censored is one of the strongest life signs of our current collective desire to get the news we citizens need—despite what Big Media tells us. Did you know that the U.S. military is deployed in 70% of the world's nations? Or that leaked State Deptartment cables show that the U.S. planned to instigate civil strife in Syria as early in 2006? What about the chronic problem of medical neglect in private, for-profit, U.S. immigrant-only jails? No? Neither did the rest of the world. That's because these and countless other news items are suppressed or ignored by our nation's "free press" every day. For the past forty years, Project Censored has been unearthing the buried stories that corporate media deem unfit to print. They also just hosted a jam-packed Media Freedom Summit and co-founded the Global Critical Media Literacy Project in partnership with the Action Coalition for Media Education and the graduate program in Media Literacy and Digital Culture at Sacred Heart University. To celebrate, we're showcasing Censored 2017 at a 25% off online discount and offering 50% off Censored backlist titles (from Censored 1996 to Censored 2006), along with select Seven Stoires books on media literacy, including titles by Arundhati Roy and Noam Chomsky. 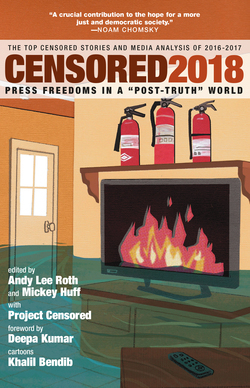 Check out our discounted Project Censored and media literacy collection! Mickey Huff is director of Project Censored and serves on the board of the Media Freedom Foundation. To date, he has edited or coedited six volumes of Censored and contributed numerous chapters to these works dating back to 2008. Additionally, he has coauthored several chapters on media and propaganda for other scholarly publications, including Flashpoint in Ukraine from Clarity Press (2014). He is currently a professor of social science and history at Diablo Valley College in the San Francisco Bay Area, where he is co-chair of the history department. 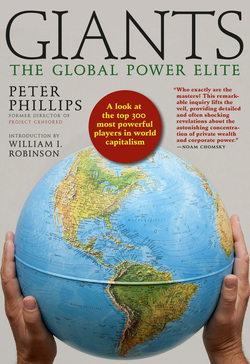 Huff is the co-host, with former Project Censored director Dr. Peter Phillips, of The Project Censored Show, a weekly syndicated public affairs program that originates from KPFA Pacifica Radio in Berkeley, California. 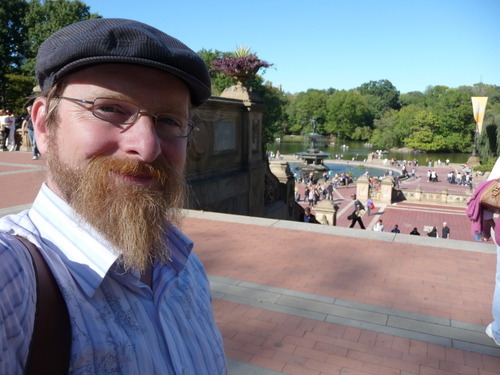 For the past several years, Huff has served on the national planning committee of Banned Books Week, working with the American Library Association and the National Coalition Against Censorship, of which Project Censored is a member. He is also a longtime musician and composer. He lives with his family in Northern California.